I have not discarded a single empty container since November 2016. I was knee deep in work and studies. My vanity is cluttered so much so it irks me to a point, I want to throw away everything I no longer find useful. I am determined to discard or give away non-cruelty free products. To crown it all, I went ahead and selected few products to finish by 30th June. I purchased this believing it could be used as a gel-based primer. I was mistaken. This gel would consume my moisturiser and within an hour, I would end up with stretchy feeling. My powder foundation would turn blotchy with this underneath. It would peel and flake and come off easily on with sweat. The only good thing, it does not cause sweating. I loved using this in the mornings mostly. But I don't think so it is worth 1500! There are so many affordable alternatives. And how long does a cleanser stays on, a minute? Too sweet for my liking. On me, it bloomed much sweeter than floral. On my mom, it would bloom sweet floral. Does not remind me of Spring at all. The staying power can be by using fragrance-free moisturizer or same moisturizer underneath. This is from the year I acknowledged makeup as an interest. One of the few eyeshadows I bought for starting out. I could not use this much, Black eyeshadow with silver flecks of glitter, what was I thinking?! Oh! Another good reason, I am kissing goodbye to all noncruelty free makeup. The fixation of buying newly launched products didn't quite develop in me or so I think. I didn't find any much uses of these colourful shadows for everyday makeup. I barely wore full-faced makeup anyway. I ended up using them only in Spring. 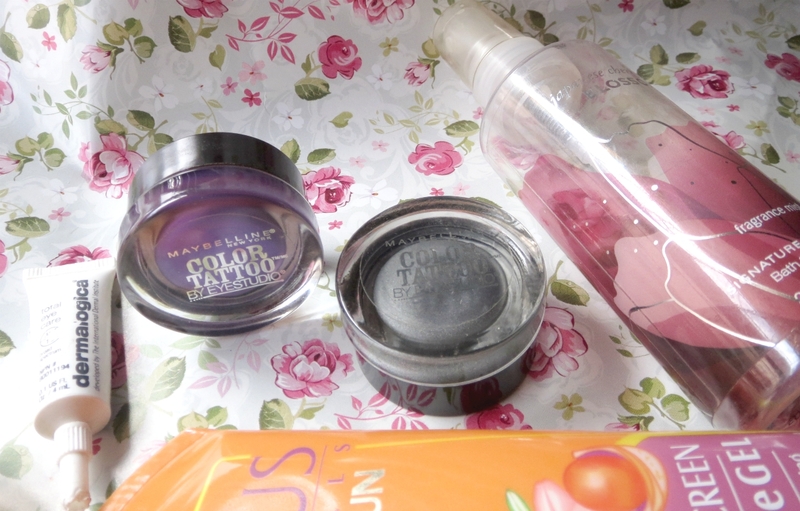 You can check out my Spring Makeup Tutorial to see Painted Purple in action. I wish they'd launched matte neutral dark brown colour which could be used as eyebrow pomade and eyeliner and eyeshadow of course. I think Maybelline Color Tattoo is discontinued in India. Prescribed by the dermatologist for hyperpigmentation. In 2014, I did notice shadowy darkness on the outer parts of my face. On consultation, it was darkening due to the sun. I was using Lotus Herbals Safe Sun 3-in-1 Matte Look Daily Sunblock SPF 40. It was my Holy Grail until I discovered that it lacks the sun protection I need. Suncote Gel is a bit sticky but works great as a makeup primer. Sadly it does not jell with my powder foundations and mineral foundations. It does not flake or peel and is sweat proof. I conclude this is the best sunscreen for oily skin. I'd repurchase if I could get high SPF so I don't have to reapply after every 1 hour. I don't recommend this bummer in a bottle. I loved it even though it was quite fruity on me. For once, I enjoyed the sweet notes of passionfruit. But boy! I was a failure in panning this, it took me 2 years to finish this off. I'd use this on and off. I love the refreshing fragrance, reminds me of the smell of the beach. The colour blue reminds me of Andamans. This could be weird but this blooms with sweat that makes it perfect for the humid climate. I purchased this to create Neon Wing Eyeliner using my Sleek Acid Palette. I could not find this on any Indian e-commerce websites. NYX is cruelty-free. This is unusable and passed its PAO date. This was a part of the kit. I did not review this then was because I wanted to give it some time to consider if I like it. It does not get absorbed and moves my concealer. I tried incorporating it in my evening skincare routine and it did nothing. No noticeable difference in hydration. I hope there is a better eye cream from Dermalogica. I don't remember where I bought this from but there is barely any dent on the surface. I also have NYX Jumbo Pencil in Milk which performs much better as an eyeshadow base.NYX Eyeshadow Base in White blends easily but goes on extremely sheer and the white pigment would settle in the fine lines on my eyelids. It did not at all enhance my eyeshadow. I never prefered it except few times when I couldn't find my other eyshadow bases. Concealer works much better as a matter of fact. 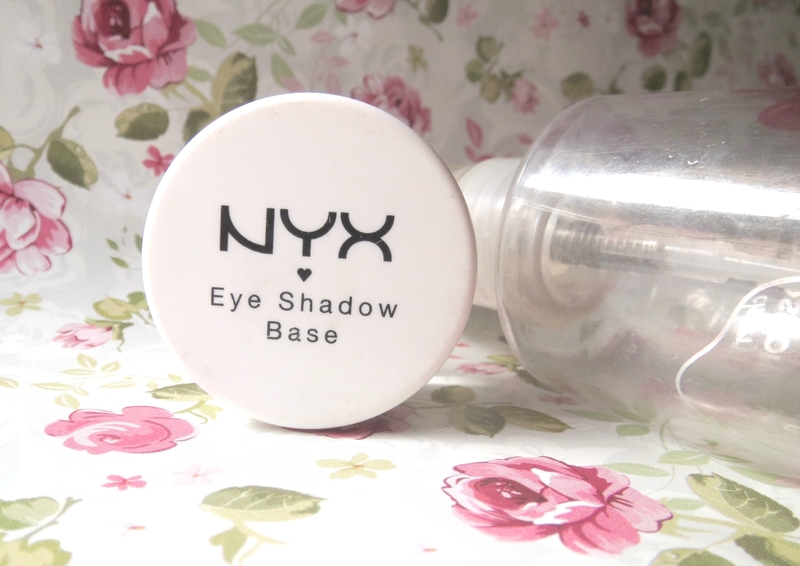 NYX Eyshadow Base in White is available on Nykaa and Amazon for INR 725. Coastal Scents brush kits are probably good for starting out. Some of them are unusable but face brushes are comparably better. This was one of my favourite and I used it almost daily for foundation. I would buff my foundation using this stippling brush for sheerest coverage ever! just the way I like it. I am looking for better option, I think I found one but I'd need to dig deep for their crueltyfree stance. Baby lips is 50% used and Neutrogena is all scraped out. I quite like the Norwegian formula! The best sun protection for lips ever. I seem to repurchase it in spite of the ban that how much I like it. I used this up in merely 3 months! And I did not repurchase, instead, I purchased Sebamed Lip Defense. But that is not cruelty-free either. I am lost here I need a lip balm that is cruelty-free, has SPF 30 and is non-tinted! Decluttering is such a difficult thing to do! Good for you for going through and choosing what to part with. great to know that you have parted ways with some of the products not suiting..& mentioning it here is really good for all of us who might have thought of buying! I've been doing a similar thing! 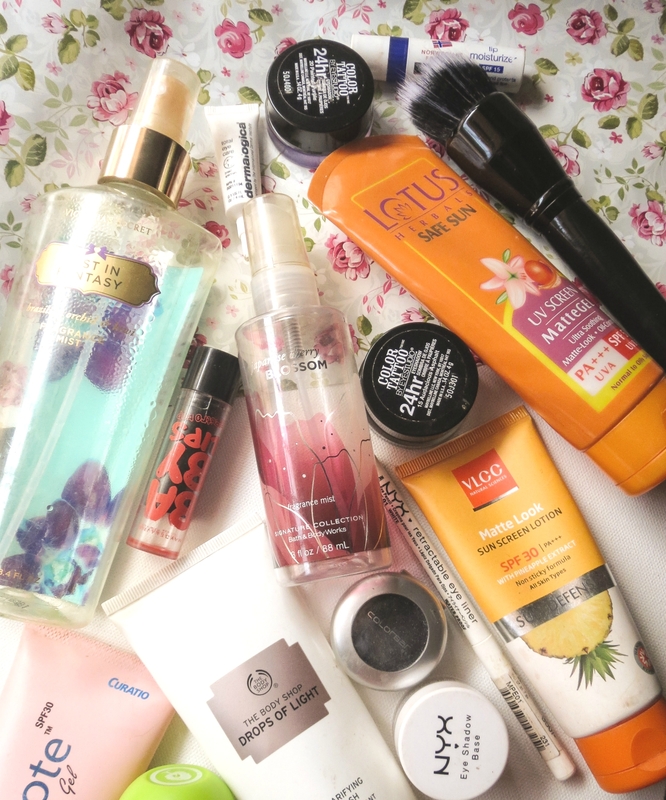 I was getting rid of all my toxic beauty and makeup products as well. I love how you explained about each product though cause I am sure so many people will find that useful! 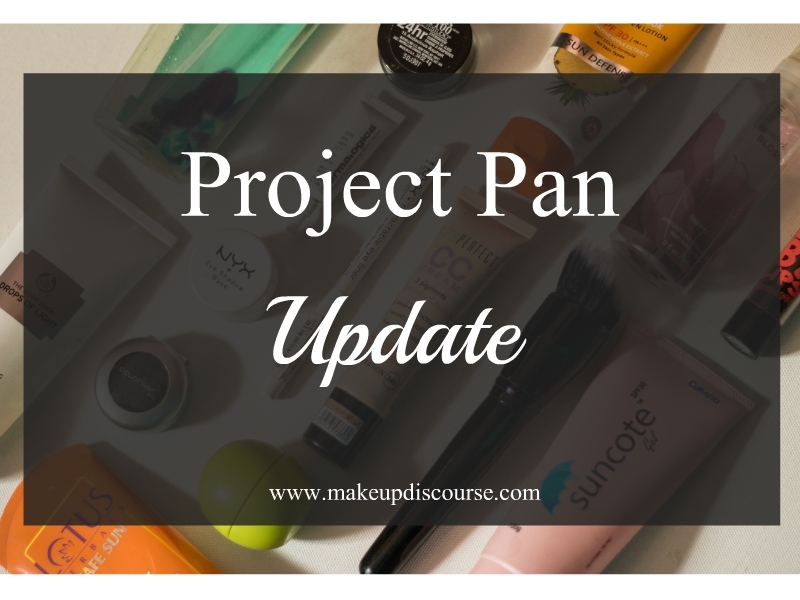 Have you found any good CF makeup as replacements? What a great project. I've been starting to collect far too much makeup and should start using more of it. I love the color tattoo and what cool colors you choose. It's good to part with the products which are not good for us. Thanks for sharing with us. 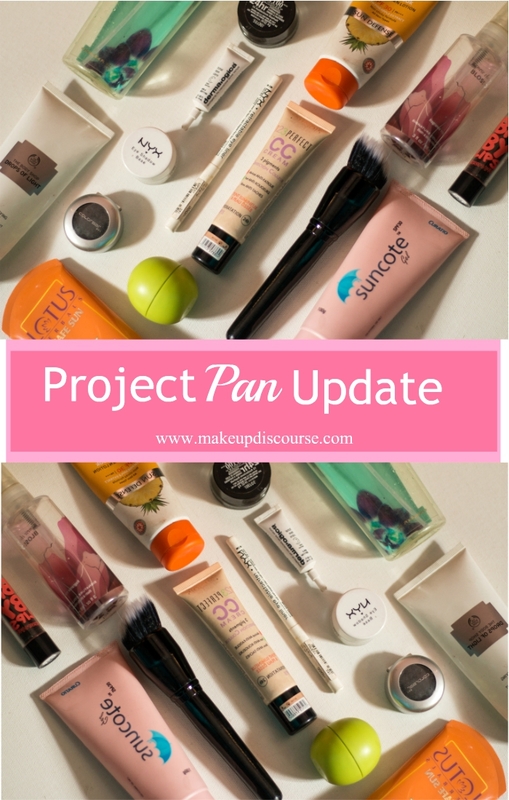 It's so important to go through beauty stuff, partly because there are plenty half-empty bottles we don't use anymore, and because beauty products expire, and we don't want to put that on our skin! I have used VLCC sunscreen and unfortunately faced similar issues.It makes you feel very hot uncomfortable and sticky .Great idea to deck utter .I just did too!